The iPhone is getting its first game from the people who make Gears of War and the developer of Shadow Complex this holiday. 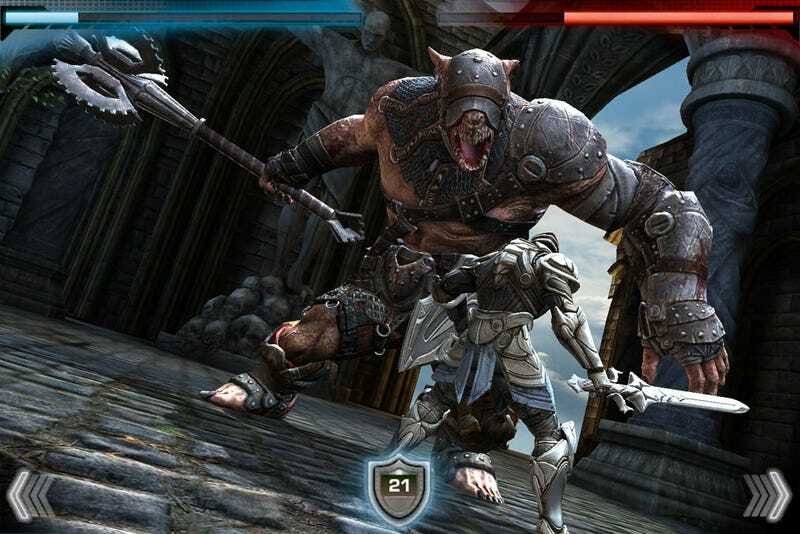 Infinity Blade, the game formerly known as "Project Sword," is coming to your iDevice of choice. Developed by Chair Entertainment, Infinity Blade runs on the iPhone's version of the Unreal Engine 3, the tech used in a ridiculous number of PC, PS3 and Xbox 360 video games. Epic Games promises an "action-RPG sword fighting adventure" that will also (eventually) feature multiplayer through Apple's Game Center. There's also a single-player side with progression, touchscreen-based sword battles and free content updates planned. Epic Games says Infinity Blade will hit iPhone, iPad, and iPod touch this holiday, but did not provide a specific release date or price. The company has released a freely playable demo of Unreal Engine 3 running on the iPhone platform with Epic Citadel.